Lhalung Palgyi Dorje (Tib. ལྷ་ལུང་དཔལ་གྱི་རྡོ་རྗེ་, Wyl. 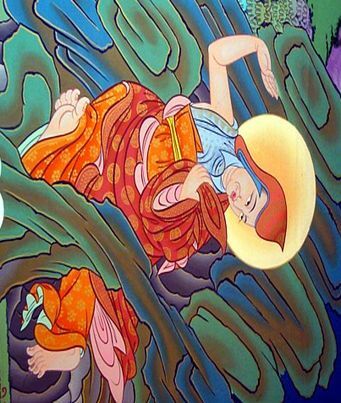 lha lung dpal gyi rdo rje) — one of the twenty-five disciples of Guru Rinpoche. He is responsible for killing the evil King Langdarma, thus liberating him, and putting an end to the persecution of Buddhism in Tibet. He attained rainbow body at the end of his life. This page was last edited on 29 March 2011, at 15:00.